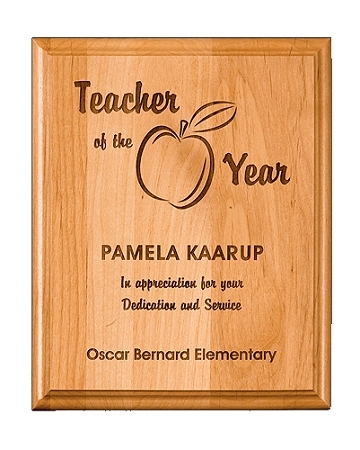 Genuine Red Alder Plaque Laser Engraved. Price includes initial set up and text engraving. Add $5.00 for logo or graphic engraving. Call 608-329-4111 or email [email protected] for quantity discounts. Genuine Bamboo Plaque Laser Engraved.